A gal pal once told me an aunt of hers knew all the prices at major department stores because it was like her job. Well, the woman had all the time in the world to go shopping almost everyday. I don't know about you but I don't have that leisure but I do want to know when there is a deal. Well, I found a solution in MyPerfectSale, a daily email newsletter that keeps savvy gals in the loop about their favorite hand-picked brands. 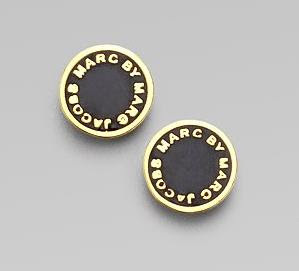 To celebrate upcoming holiday, we are giving away to one lucky gal this pair of Marc Jacob earrings as a stylish gift for yourself or a love one. Before announcing the rules to win that savvy pair of earrings, I want to also bring attention to DesignerApparel.com, JewelryFlash.com and StreetApparel.com. These are online shopping destinations for the stylish and fashionable looking for a wide selection of all their favorite brands from all the top stores. Shop for high-end designer lines like Prada, Christian Louboutin and Marc Jacobs at DesignerApparel.com, search through the large selection of jewelry brands like CC Skye, Kenneth Jay Lane and Erickson Beamon at JewelryFlash.com, or set up the perfect everyday closet filled with Cheap Monday, RVCA and Jeffrey Campbell at StreetApparel.com. To give shoppers the widest and best selection possible, items are pulled from top stores including Neiman Marcus, Saks Fifth Avenue, Bloomingdale's, ShopBop, Revolve Clothing, Nordstrom, 80s Purple and Max & Chloe, just to name a few. This way, a gal can shop all the stores without leaving the house or surf different websites. 1. Sign up to My Perfect Sale & leave me a comment to let me know if this is for you or a gift for one entry. 2. Also be a Savvy Mode follower for 2 entries. 3. Share this giveaway via your blog, Facebook or Twitter for 3 entries. 4. Open to all Savvy Mode readers. 5. Entry period: Nov 24, 2009 to Dec 8, 2009. Savvy people who sign up with will be automatically entered to win a fabulous deerskin Prada bag with a retail value of $2230. 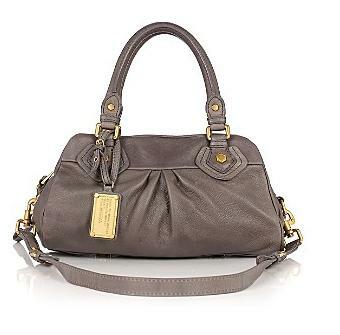 I am in the running to win this Marc by Marc Jacob grey bag if all my bloggie friends sign up to My Perfect Sale via Savvy Mode. Can you be a Santa this year and help Savvy Gal win a bag? Why, because wouldn't this bag be a perfect giveaway for one lucky Savvy Mode reader in the future? Wow... That is a mouthful! I hope you lovelies have a great day and good luck. I've signed up in My Perfect Sale already and I've been a long time follower of your blog. Of course, the earrings will be for ME. Hahaha! Signed up to My Perfect Sale - love these type things. The earrings will be gifted away to a friend. I have been a follower for a few weeks now. Uh oh...this is a dangerous site! So much temptation! I'd be slightly greedy and keep the earrings for myself since I don't have any friends who are as interested in fashion as I am! Isn't that sad? I'm going to post about your giveaway in tomorrow's post. I'll let you know when I do. Have a great day, m'dear! THAT'S AN AMAZING GIVE AWAY! I sign up for the site, great concept! I signed up for My Perfect Sale! And those earrings would be for ME!! What a perfect giveaway!! Okay, so I signed up for the newsletter, I follow you (obviously, lol) and I tweeted about this too. :) Good luck to everyone who enters! Love the color of the MJ bag! Signed up!! Posted your awesome giveaway on my blog! The earrings would be a gift to me! yay! is it okay if im already signed up with them ? i signed up yerster day before seeing this post ..
anyway i do follow you on google ..
and would love to be entered.. it's a gift entry ..
and have been following you for a while! Hope you win the Marc Jacobs bag. I heart MJ. Even without another giveaway, I would help you any day Savvy! Heading over to the site now and will sidebar your giveaway darling!! ps (this bag would be a great change after all my pink - LOL)!! That is such an ingenious idea. Thanks for sharing. I signed up for My Perfect Sale. And I would keep those earrings for me. I am a follower of savvy mode too. Hi i absolutely love your blog! all the images are so amazing! hope you can stop by mine sometime! yes! I signed up the otehr day for another giveaway somewhre else...love it! Ok, I signed up just for you and hopefully you win since you're just too cool and too savvy. I'm not entering for the contest this time around. Just showing my support, good luck. Signed up for My Perfect Sale - and I obvi follow your blog! I could say the earring would be a gift... but I would be lying! i've signed up and i'm already a follower!